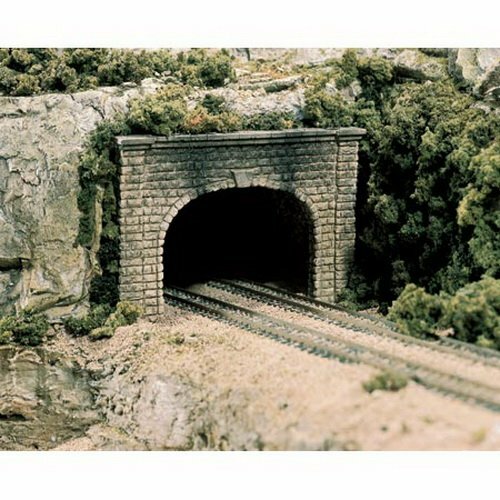 This Box Contains One HO Scale Single Track Random Stone Tunnel Portal for Your Model Railroad Layout from Woodland Scenics. Tunnel portals are the stone, concrete, or timber facings built at theentrances to tunnels. They hold back rocks and dirt from tunnel entrances andoften are used in combination with retaining walls.FEATURES: This concrete tunnel portal is cast in high-density Hydrocal. Wide enough for one HO scale track to run through. This white cast is authentically detailed in appearance and texture. You can use this portal alone or in combination with retaining walls. Create ultimate scenic realism simply and economically. Ready for staining or painting right from the box. 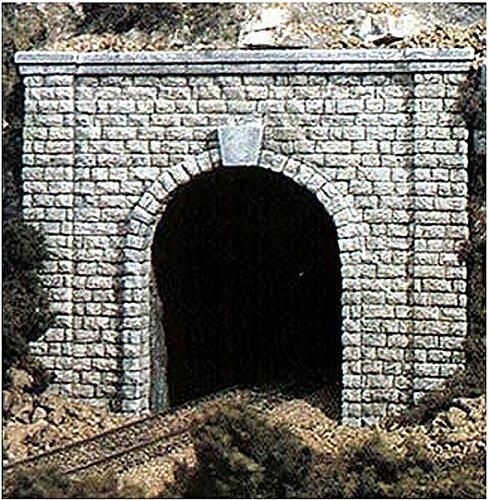 Easy to follow instructions for installation of portals.INCLUDES: One HO Scale Single Track Random Stone Tunnel PortalREQUIRES: Adhere Portal to Layout Lightweight Hydrocal, Flex Paste or White Glue Hobby Knife, Sandpaper or File Earth Color Liquid PigmentsSPECS: Scale: HO 1:87 Outside: 5 11/16" w x 5 1/8" h (14.4 cm x 13 cm)Inside: 2 13/16" w x 3 3/4" h (7.14 cm x 9.52 cm)COMMENTS: Hydrocal is a product of U.S. Gypsum. 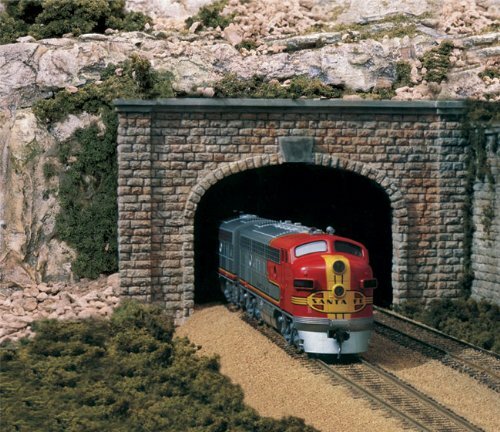 For further information on installing tunnel portals, as well as complete instructions for creating landscape and terrain, read"The Scenery Manual" (WOOU1507). 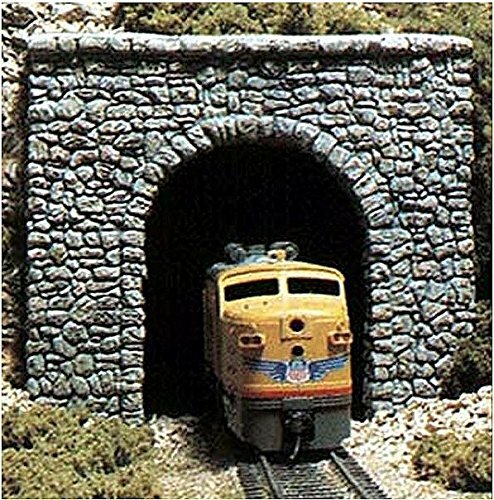 This Box Contains One HO Scale Double Track Concrete Tunnel Portal for Your Model Railroad Layout from Woodland Scenics. Tunnel portals are the stone, concrete, or timber facings built at theentrances to tunnels. They hold back rocks and dirt from tunnel entrances andoften are used in combination with retaining walls.FEATURES: This concrete tunnel portal is cast in high-density Hydrocal. Wide enough for two HO scale track to run through. This white cast is authentically detailed in appearance and texture. You can use this portal alone or in combination with retaining walls. Create ultimate scenic realism simply and economically. Ready for staining or painting right from the box. Easy to follow instructions for installation of portals.INCLUDES: One HO Scale Double Track Concrete Tunnel PortalREQUIRES: Adhere Portal to Layout Lightweight Hydrocal, Flex Paste or White Glue Hobby Knife, Sandpaper or File Earth Color Liquid PigmentsSPECS: Scale: HO 1:87 Outside: 7 3/8" w x 4 7/8" h (18.7 cm x 12.3 cm)Inside: 4 5/8" w x 3 13/16" h (11.7 cm x 9.68 cm)COMMENTS: Hydrocal is a product of U.S. Gypsum. 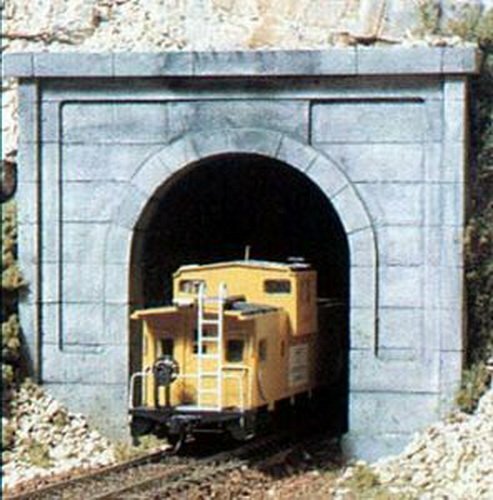 For further information on installing tunnel portals, as well as complete instructions for creating landscape and terrain, read"The Scenery Manual" (WOOU1507). 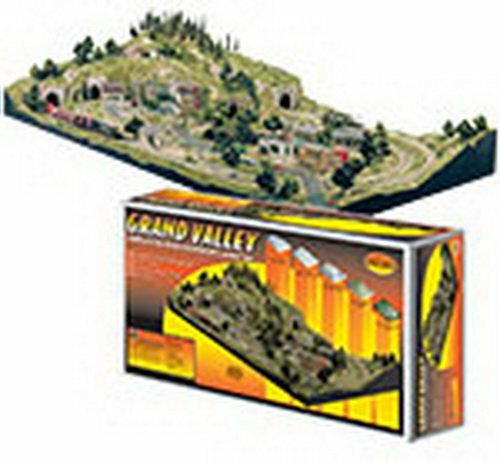 Detail your HO Scale right-of-way with this assortment of authentic tunnel portals. They're based on common railroad designs used on roads large and small in both the steam- and diesel eras. Each is an accurately scaled replica, cast in high density Hydrocal(R). Instructions for installation are also provided. For more realism, the castings are easily stained or painted with Woodland Scenics Earth Color Liquid Pigments, sold separately. Sold individually. Outside: 8-1/16 W x 5-1/4 H.;Inside: 4-3/4 W x 3-7/8 H.;Package Quantity: 1;Excellent Quality. ;Great Gift Idea. 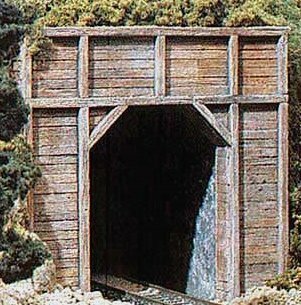 Shopping Results for "Woodland Scenics Ho Tunnel Portal"